Whether you can afford alternative energy in this economy or whether a wind turbine will work in your situation are just two of the many topics to be covered by experts in solar and wind energy at the upcoming Solar and Wind Expo at the State Fairgrounds in Timonium, Md., running May 13-15, 10 a.m. – 6 p.m. daily. Several local businesses will be presenting including Kenergy Solar and Solar Energy Services, Inc. from Millersville, and Solar Energy World from Jessup. 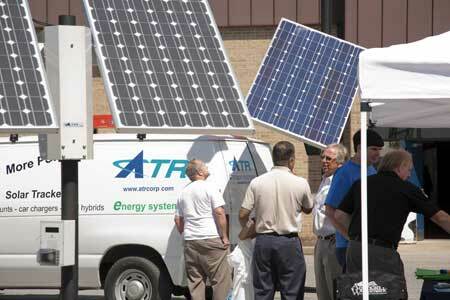 The Solar and Wind Expo received accolades from Expo attendees and exhibitors in May 2010 when it brought top-quality clean energy advocates to consumers in the east coast region. This year’s Expo promises to do so again and to reach out to professionals in the field as well. Information is available at www.thesolarandwindexpo.com.